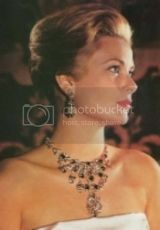 I think Nicole Kidman would have been a better Diana while Naomi would have done Grace Kelly a lot better. Grace was too short for Kidman and Kidman would have pulled off Diana's nose a lot better. As for the film, it captured her behind the scenes practice for the Panorama interview and it captured the 'man on the street' reaction very well; same with the announcement of her death, it was poignant showing the numerous televisions and lights coming on as word of Diana's accident/death spread including Hasnat coming to the gates of the palace. Showing "Diana" in bed with Hasnat was another unique angle, it didn't show her as a snow fresh pure innocent, but as a woman who had grown into her own sexual life. Showing the breakup scene between Hasnat and Diana was a good one, the line "Five billion people in the world can tell me they love me!" was a very good line. It wasn't as bad as people think, if they would stop thinking of the person they think Diana was and realize that Diana at thirty wasn't nineteen and naive. Actually she played Diana at ages 35 and 36. Diana also was separated then divorced. I think it realistic that she was searching for Mr Right and of course was not the Shy Di of 1981. One of Britain’s biggest charities has spent hundreds of thousands of pounds on school fees for its chief executive’s children. The high-profile Halo Trust, which clears landmines from war zones, was facing severe criticism last night after revelations that its founder, Guy Willoughby, had his annual bill of more than £70,000 covered for his children to attend some of the country’s most expensive boarding schools. The charity rose to prominence in 1997 when Diana, Princess of Wales, visited a minefield it was clearing in Angola shortly before her death. Prince Harry is still a patron. Last year its income was more than £26million, including £4million from the Department for International Development. According to the charity's latest accounts he receives a package of between £210,000 and £220,000 a year - including the cost of sending his children to boarding schools. Mr Willoughby's son is said to attend Oundle School in Northamptonshire - which charges £30, 705 a year for boarders - and two of his daughters attend Queen Margaret’s School in York, which charges £27,825. Queen Margaret's offers a discount for siblings, the Telegraph reports. what a load of BS this is why I won't ever donate to charity's because it doesn't help the people it's suppose to or for the cause it's to line the pockets of the people who run it. "More than 50 employees of a land mine-clearing charity in Afghanistan were kidnapped by armed Taliban fighters before being freed in a "police operation" on Tuesday, officials said." When the princes stop using her as a weapon, she might indeed be able to rest quietly. Couldn't this be considered embezzlement? Disgusting; you're right about charities these days. Diana is going to be ancestress of future monarchs. There is still a lot of interest in her. Diana was a pioneer, she brought attention to the cause of getting a cure for AIDS and shook hands with AIDS patients dispelling the impression that AIDS was very contagious. She went to stay at the bedside of her friend who was dying of AIDS. She worked very hard for her charities and was admired by Mother Theresa and by Nelson Mandela. Diana was a very charitable person and had a natural human connection. Too bad William and Harry are not as industrious with them. Congrats to her.....amazing what children can accomplish, what a great story.